From Delhi, drive to Rishikesh. Relax for a while here and later drive to Bhagwan Institute. Here, you are given a safety briefing. Pack your bags and get ready for rafting. Begin cruising on the river Alaknanda having crystal clear water. Encounter rapids such as ‘Bhagwan’s Pillow’, ‘The Deadly Duos’ and a few more till the time you reach Devprayag. Before you reach the campsite at Beasghat, cross a few more rapids. Here if you want, you can try your hand at surfing or swimming. On reaching, check-in your camps for an overnight stay. Day 2 is for rafting that will include small rapids. The time of rafting from Beasghat to Kaudiyala is around 35 kms. During rafting, enjoy body surfing and bird watching. On reaching Kaudiyala, set-up your camps along the banks of the river. The day is now free to relax, explore the surroundings on foot etc. Night stay in camps. 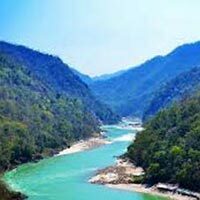 Begin rafting from Kaudiyala to Rishikesh. The last day of the tour is filled amazing high level rapids such as ‘Daniel’s Dip’, ‘Roller Coaster’, ‘The Wall’, ‘Crossfire’, ‘Bodysurfing’, ‘Three Blind Mice’, ‘Return to Sender’, ‘Golf Course’, and a few other smaller ones as well. Halt at Shivpuri for lunch. 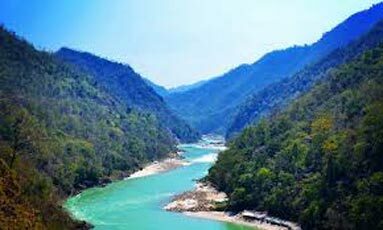 Later, continue rafting on the river Ganga ending it at Laxman Jhula, a well-known tourist attraction in Rishikesh. Afterwards, depart by road to Delhi.